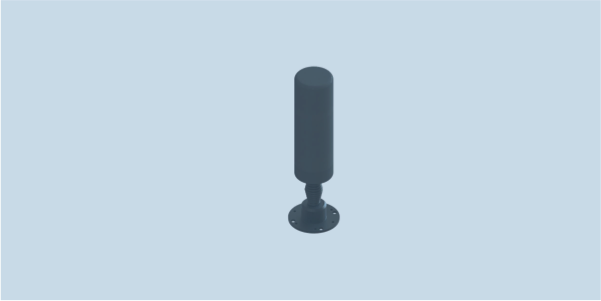 OMNI-A0244 is a compact monitoring antenna covering 20 to 6000 MHz with both active and passive versions. It employs a spring and flange for vehicle mounting. The active version of the OMNI-A0244 antenna includes a nominal 10 dB amplifier, while the passive version (-02) has no dynamic range signal limitations. The antenna is groundplane independent. It is mounted on an N-type connector base, with a spring for shock absorption and flexibility. To power the amplified OMNI-A0244, use the MISC-A0022 power over coax module.